With the new Insert Converter app, the user can optimize their machining process by quickly finding the right Walter grade and geometry for the application. 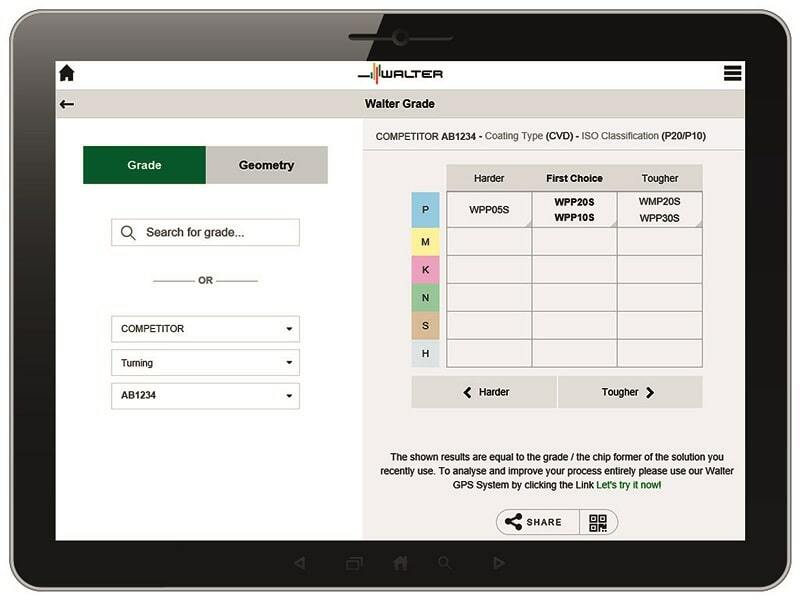 Waukesha, WI—Walter has developed the Insert Converter app which quickly shows the insert selection with the latest Walter grades and chip breaker geometries for their application. 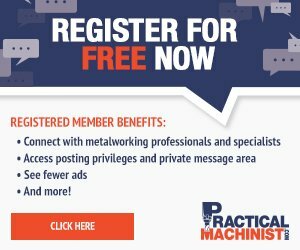 It is aimed at anyone who wants to enhance their machining process, increase tool life and process reliability, or improve their productivity. The app’s search function has been deliberately kept simple: Users do not have to click through endless menu options. Instead, they can make selections directly based on the grade or geometry. To do this, they enter the grade or chip breaker geometry already in use – and the app then shows them Walter alternatives. The recommended grades or geometries may vary considerably depending on the workpiece material. If required, the user can click for additional detailed information on the coating process (CVD/PVD, etc.) or basic ISO shape (positive/negative). In the case of ISO geometries, the indexable insert style (single or double-side, negative, etc.) is also displayed. With just a few clicks, the Walter Insert Converter app shows users an alternative to their current indexable insert. In addition to carbide cutting tool materials, ISO advanced materials such as CBN, PCD, ceramic, and cermet are also covered. The range of applications includes turning, grooving and parting off. When developing the Insert Converter app, Walter focused on practical applications and user friendliness, so it is compatible with both Android and iOS (Apple) devices. It is also available as a web version via a browser – and offline, if required. The Walter Insert Converter app can be downloaded from the App Store, Google Play or Walter’s website.